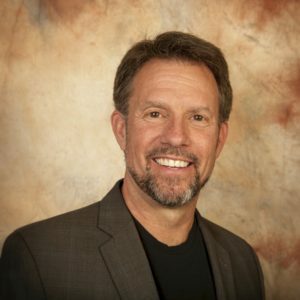 Dr. Dave Maune, Ph.D., PSM, PS, GS, CP, CFM, is an associate vice president and photogrammetrist for Dewberry and is based in the firm’s Fairfax, Virginia, office. He has been in the industry for nearly 60 years and supports federal contracts with the U.S. Geological Survey and the National Oceanic and Atmospheric Administration (NOAA). In addition, Maune serves as the project manager for the firm’s independent quality assurance/quality control contracts with the states of Connecticut and Maine, and Los Angeles County. Currently, using Interferometric Synthetic Aperture Radar, Maune is working on mapping the entire state of Alaska, which has never before been mapped in accordance with National Map Accuracy Standards. Dr. Qassim Abdullah is an accomplished scientist with more than 40 years of combined industrial, research and development, and academic experience in analytical photogrammetry, digital remote sensing, and civil and surveying engineering. His current responsibilities include designing and managing strategic programs to develop and implement new remote sensing technologies focused on meeting the evolving needs of geospatial users. Currently, Dr. Abdullah is the Chief Scientist for Woolpert Geospatial Services and a member of Woolpert Labs team. 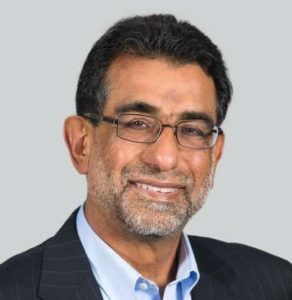 In addition, Dr. Abdullah serves as an adjunct professor at the University of Maryland, Baltimore County and at Penn State teaching graduate courses on UAS, Photogrammetry and Remote Sensing. His latest accomplishments include evaluating and introducing the Geiger and single photon LiDAR to the geospatial industry and leading Woolpert research activities in the field of Unmanned Aerial System (UAS), its sensor calibration, and its workflow development. Dr. Abdullah is a certified photogrammetrist by ASPRS and licensed professional surveyor and mapper with the states of Florida, Oregon, Virginia, and South Carolina. Charlie Barnwell has been working with GIS since 1984, and with LiDAR-based elevation data since 2002. Prior to GIS he was a field geologist working in Alaska, gaining a deep appreciation for terrain of all kinds from tussocks to alpine mountains. A former Esri Alaska Regional Manager, and Municipality of Anchorage GIS Manager, in his current position Charlie leads a team at Kinney Engineering that provides GIS services in the engineering sector. Charlie received a Bachelor Science degree in Geology from the University of Wisconsin-Madison, and a master’s degree from the University of Alaska. Michael L. Dennis, PE, RLS, PhD is a geodesist at NOAA’s National Geodetic Survey (NGS) where he manages the State Plane Coordinate System of 2022 project. He is also involved in evaluation of data processing and survey network adjustment procedures, development of standards and guidelines, and public outreach. Mr. Dennis is a Professional Engineer and Surveyor with private sector experience, including ownership of a consulting and surveying firm. He is also a member of the Surveying and Geomatics Division in the Utility Engineering and Surveying Institute of the American Society of Civil Engineers. Gennady Gienko holds a Ph.D. degree from Moscow Institute for Engineers in Geodesy, Aerial Surveying and Cartography (1987). He worked at Siberian State Geodetic Academy (1988-2001), Israeli Institute of Technology (2001-2002), and University of the South Pacific (2004-2009). 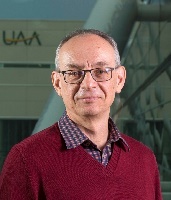 Since August 2009 Gennady has been working for the Department of Geomatics at UAA. He teaches courses in GIS, Remote Sensing, Image Analysis, Photogrammetry, High Density Surveying, and Point Cloud Analysis. His research interests are geospatial data analysis, geostatistics, precision 3D modeling, and remote sensing. Dan Heiner (GIS System Programmer with North Slope Borough – NSB) is a seasoned GIS Manager with over twenty years’ experience in GIS data collection, analysis, mapping, with proven experience in GIS development, mobile GIS collection, and technical capacity building. At NSB, Daniel is part of the GIS team that provides GIS services to all the Borough Departments and is lead on the NSB LiDAR Mapping Project. Daniel received a Bachelor of Science degree in Forestry and Economics from Oregon State University. Lara Heitmeyer works as a Lead Analyst in the LiDAR Calibration group at Quantum Spatial’s Corvallis, Oregon office. She has four years’ experience in sensor calibration, raw data georectification and adjustment, and feature classification and extraction, with specific expertise in topo-bathymetric datasets. Lara has been a process lead on topo-bathymetric projects ranging from post-hurricane shoreline mapping on the East Coast, to river restoration projects in the West, to lake and reservoir volume assessments in the Rockies. She holds a Bachelor of Science in Ecological Engineering and a GIS Certificate from Oregon State University, and when she’s not working inside a point cloud she enjoys biking in the great Pacific Northwest outdoors. Nic Kinsman is Alaska’s Regional Advisor for NOAA’s National Geodetic Survey (NGS). Based in Anchorage, she serves as our local point of contact for NGS and is available to provide technical guidance on geospatial positioning topics in support of activities such as mapping and charting, navigation, flood risk determination, transportation, land use and ecosystem management. 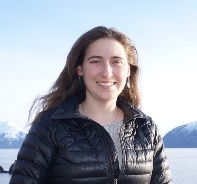 Nic holds a PhD in Earth Sciences from the University of California Santa Cruz, she formerly managed the State of Alaska’s Coastal Hazards program for five years and is presently an affiliated faculty member with the University of Alaska Fairbanks. 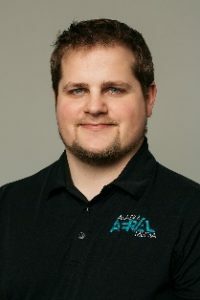 Ryan Marlow, CMS, is a Co-Founder with Alaska Aerial Media, an Alaskan based UAS service provider specializing in unmanned survey, infrastructure inspection and heavy lift payloads. Ryan has over seven years of unmanned systems and remote sensing experience in both public and private sectors. He has been an active member of ASPRS since 2015 and is certified as a sUAS Mapping Scientist. Ryan currently manages sUAS derived imagery, LiDAR, multispectral and processing QC for his Alaskan based geospatial company. Ryan and company recently received the only waiver in Alaska for sUAS operations overhead people, a first for the state and a major step forward with unmanned systems enabling mapping solutions in densely populated areas. 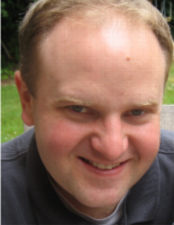 Scott Moore is a Solutions Engineer with Esri and currently works in the Olympia, Washington regional office. He focuses on assisting Esri software users with architecture design, application development and technical advice for deploying ArcGIS. Mr. Moore’s areas of expertise include web mapping, server and mobile based GIS, developer technologies, open data and integrating drones with enterprise GIS. He has been with Esri since 2006. He earned a bachelor’s degree in Geography with a focus on GIS from the University of Washington in Seattle, Washington in 1998. Prior to joining Esri, he was a Senior GIS Analyst and GIS Manager for the City of Chandler, Arizona where he built the City’s Enterprise GIS. Steve Parrish began surveying with the U.S. Forest Service (USFS) in 1963, acquired his Utah PLS in 1973 and worked with the USFS through 1984. He transferred to the Bureau of Land Management (BLM) In 1985 and was selected as BLM Nevada Cadastral Chief in 1989. Steve left the government in 1995 to survey in the private sector. He is licensed in 10 states, a Nevada water rights surveyor, acquired his CFedS certificate in 2007 and is a Great Basin College graduate (2009) with a BAS in Technology degree. Steve is a contributor to “The Surveying Handbook” (Brinker and Minnick), has presented workshops in 27 States and Canada, and teaches SUR360 (2009 BLM Manual) for Great Basin College (Elko, NV). 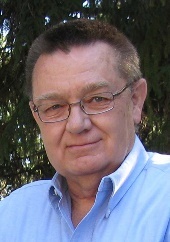 He shares his 53+ years of land surveying experience through workshops, consulting, and expert witness testimony. He is the Certified Federal Surveyor (CFedS) Panel Chairperson/Training Coordinator and County Surveyor for Alpine and Mono Counties, CA. Ben Petersen is the Director of Surveys/Principal for PLS, Inc. He is a licensed professional land surveyor in Washington and Oregon with over 30 years of survey and mapping experience throughout the Pacific Northwest. His breadth of experience includes geodetic control, route surveys, GPS, topographic mapping, cadastral and boundary surveys, flood studies, bathymetry, and construction surveys. He has managed the surveys for such notable and technically challenging projects as the Downtown Seattle Transit Tunnel, Seattle Monorail, West Seattle Bridge and numerous dams and tunnels. He is an acknowledged expert in tunnel surveys, and settlement and drift measurements, and has served as a technical adviser / expert to Sound Transit and King County / Metro regarding soft-earth tunneling and settlement of high-rise structures. He frequently provides presentations on those subjects at local, State and national seminars and conferences including the Rapid Excavation and Tunneling Conference (RETC). He is a past-President of the Land Surveyors’ Association of Washington (LSAW), a two-time recipient of their Award of Merit, was honored as their 2007 Surveyor of the Year and in 2010 was the first-ever recipient of their Distinguished Surveyor Award. He shares his expertise each year as an instructor in LSAW’s Career Advancement Program. In addition to LSAW, he is a member of the National Society of Professional Surveyors (NSPS) and the Society of Mining, Metallurgy and Exploration (SME). Andres Vargas is a Technical Expert with Quantum Spatial’s Corvallis office. Before joining QSI, Andrés previously worked for Riegl USA as an applications engineer, with a focus on Airborne LiDAR systems. As an airborne applications engineer, Andrés became an expert in Riegl’s UAS operations by training customers in RiCopter UAS utilization. At QSI, Andrés coordinates flight planning and operations with UAS contractors, calibration of the data, provides final feedback on generated products and has been instrumental in developing QSI’s UAS workflows. Andrés hails from the MIL Robotics program at the University of Florida with a BA in Mechanical Engineering. TJ Abbenhaus is a Solution Engineer with Esri, supporting the Northwest Region. TJ has been working in Geography on GIS application development in the areas of Natural Resources, County, State and local governments. TJ has specialized in the Imagery Solutions provided by Esri, and our business partners. Before coming to Esri he was a GIS Programmer Analyst for Kitsap county Washington. Dr. Qassim Abdullah is an accomplished scientist with more than 40 years of combined industrial, research and development, and academic experience in analytical photogrammetry, digital remote sensing, and civil and surveying engineering. His current responsibilities include designing and managing strategic programs to develop and implement new remote sensing technologies focused on meeting the evolving needs of geospatial users. Currently, Dr. Abdullah is the Chief Scientist for Woolpert Geospatial Services and a member of Woolpert Labs team. In addition, Dr. Abdullah serves as an adjunct professor at the University of Maryland, Baltimore County and at Penn State teaching graduate courses on UAS, Photogrammetry and Remote Sensing His latest accomplishments include evaluating and introducing the Geiger and single photon LiDAR to the geospatial industry and leading Woolpert research activities in the field of Unmanned Aerial System (UAS), its sensor calibration, and its workflow development. Dr. Abdullah is a certified photogrammetrist by ASPRS and licensed professional surveyor and mapper with the states of Florida, Oregon, Virginia, and South Carolina. John F. Bennett commenced his surveying and mapping career with the Alaska Department of Highways in 1972. He retired in early 2014 after 28 years with DOT&PF Northern Region Right of Way, beginning as Titles and Plans Supervisor and ending with almost 15 years as Right of Way Chief. As Right of Way Chief, he managed the title research, surveys, mapping and platting of public and private lands for a variety of DOT&PF highway projects. He holds an A.A.S. in Survey Technology from the Anchorage Community College and is currently a senior land surveyor with the R&M Consultants Right-of-Way Services group. Susan Buto has been a Physical Scientist with the U.S. Geological Survey (USGS) for 17 years. In that time she has worked for both the Nevada and Utah water science centers providing GIS and remote sensing support for a variety of hydrologic studies ranging from evaluation of groundwater discharge from native, phreatophytic vegetation in the Great Basin to SPARROW model support in the Upper Colorado River Basin. Susan currently works in a joint capacity with the USGS National Geospatial Program and Water Mission Area as the Watershed Boundary Dataset Lead. Joel Cusick is a GIS specialist for the National Park Service Alaska Regional Office in Anchorage Alaska. Joel worked as a commercial fisherman in Alaska as well as a biologist during the Exxon Valdez Oil Spill and then transitioned over to biology work with the GIS program at the regional office. Joel started mapping GIS features with a Trimble ProXR in 1998 and has been a Trimble Mapping Grade certified trainer since 2005. Working with all the Alaska National Parks the professional geospatial field mapping capacity in Alaska has grown now to include over 100 mapping grade systems, 10 RTK systems, three scanners (Trimble TX8, 2-Trimble SX10). Like the surveying community in Alaska, GNSS has been crucial for collection of precise and accurate geospatial efforts in the great north. Jami Dennis has over twenty-five years of experience in Geographic Information Systems (GIS), socio-economic research, demographic studies, and data analysis. She is the Applied Analytics Program Manager at the Maricopa Association of Governments (MAG) where her responsibilities include socioeconomic research, analysis, and data visualization. Prior to her work at MAG, she worked as the Data Bureau Manager for the Arizona Department of Transportation where she was involved in GIS for Transportation, traffic data collection, monitoring, and analysis. She holds a bachelor’s degree from Arizona State University, a Graduate Certificate in Geographic Information Science from Oregon State University, and is a certified GIS Professional from the GIS Certification Institute. Her current passion is analyzing and visualizing data through story maps, printed infographics, and interactive dashboards. Patricia Ekberg (formally known as Patricia Gallagher) is a Cartographer/GIS Analyst at the Division of Geological & Geophysical Surveys in Fairbanks, Alaska. She has extensive experience using ArcGIS to create geologic maps and graphics. She graduated with a degree in Geology from the University of Alaska Fairbanks and recently earned a Master’s Degree in GIS from Penn State. Barrett Flynn is a GIS Analyst for Colorado State University that collaborates with the Department of Public Works Environmental Division in Fort Wainwright, Alaska. He is developing wetlands random forest predictive models, accuracy assessments of vegetation maps, and visualizations of occupancy models for bird species. Previously, he worked as a Cartographic Technician at Yellowstone National Park developing the data management system for hydrothermal features. Barrett has a Master’s of Science in GIS and a Bachelor’s of Science in Geology and Environmental Science. Mike Hendricks is a geospatial data manager and analyst with the Alaska Division of Geological and Geophysical Surveys (DGGS) in Fairbanks. In this position he develops, builds, and maintains geospatial databases and services to support a wide range of internal and external users. One of his primary tasks is to manage, process, and distribute through web services all publically available elevation data in Alaska as part of the “Elevation Datasets in Alaska” web application. In addition, he is developing the Survey’s next generation enterprise geodatabase system to support efficient geologic data and map production, storage, and distribution. Mike is also an adjunct professor with University of Alaska Anchorage’s Department of Geomatics where he teaches online courses; Spatial Data Structures and Intermediate GIS. He has a PhD in Spatial Information Engineering from the University of Maine and over twenty years of geospatial experience. 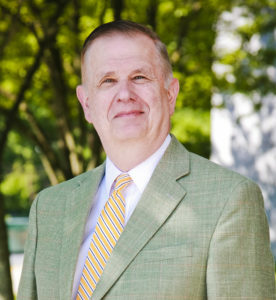 Previous to his position with the DGGS, Mike served on the faculty of the United States Military Academy’s Geospatial Information Science Program, at West Point New York, where he taught GIS, designed cartographic products, and conducted applied research in land navigation education using location-based technology. Peter Hickman works as a GIS Project Manager for UAF-GINA. Much of his work involves writing of proposals, project budgets and budget justifications. His current workload includes developing a custom pre-launch and post-launch decision support and recovery support GIS toolkit for UAF Poker Flat Research Range. He is also the lead project manager for UAF-GINA to provide data processing support to the AKDOT&PF Northern Region. Heather Kelley is a GIS Specialist at the Matanuska-Susitna Borough (MSB). She has been working at the MSB since 2006 and in the field of GIS since 1999. Heather holds a M.S. in GIS and remote sensing from the University of Wisconsin, Madison. Kenny Kleewein is a GIS Specialist at the Matanuska-Susitna Borough (MSB). He has been working in the field of GIS since 2013 when he started working at the MSB. Kenny holds an A.S. in Geomatics from the University of Alaska, Anchorage. Rada Khadjinova is the general manager of Fugro’s Alaska office. She is responsible for expert project delivery and is the focal point for all Fugro activities in the state, coordinating with client organizations, teaming partners, and stakeholders to deliver a complete range of survey, geotechnical, and geoconsulting services. She has 23 years of project management experience and has led major programs involving data acquisition, environmental permitting, and engineering design services for capital and field managed constructions in Alaska. Heidi Kristenson is a GIS Specialist with the Alaska Satellite Facility in Fairbanks. She has a background in high-latitude ecological research, and would like to make Synthetic Aperture Radar data more accessible to researchers and land management professionals. From Palmer Station, Antarctica to Palmer, Alaska, Marta Kumle has spent the last decade mapping shallow water bathymetry, primarily in high latitudes. 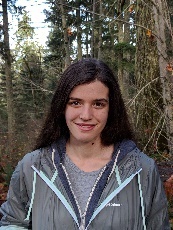 After obtaining a BS in Oceanography at the University of Washington, Marta became a NSPS-THSOA certified hydrographer in 2012 and is now pursuing a Masters in GIS through distance learning with the University of Washington. Currently Marta is working on a collaborative effort between the State Department of Natural Resources and Alaska Ocean Observing Systems to strategize mapping Alaska’s coast. Adam McCullough is a geospatial professional with 14 years of experience in Alaska. He has a degree in GIS and Remote Sensing from Humboldt State University. He began his career in Alaska as an aerial photographer and LiDAR sensor operator traveling all over the state performing aerial surveys. He has worked as a GIS Manager for A/E firms in Anchorage and has provided geospatial services for several large oil and gas development projects. He currently serves as the Alaska Program Manager for Quantum Spatial’s office in Anchorage. Jennifer Metzger is a GIT Specialist and Wetland Scientist at Michael Baker International, here in Anchorage. Jennifer splits her time between GIS office work and wetland & hydrology field work. Jennifer has conducted spatial analysis for environmental, engineering, and geotechnical reports and managed spatial data for numerous, large-scale projects in Alaska. She holds a master’s degree in environmental studies from the College of Charleston and a Masters in Geographic Information Systems from the University of Denver. Scott Moore is a Solution Engineer with Esri and currently working with customers across the Northwest and Alaska. He focuses on assisting Esri software users with architecture design, application development and technical advice for deploying ArcGIS. Mr. Moore’s areas of expertise include web mapping, server based GIS, developer technologies, and making spatial technology available to everyone. He has been with Esri since 2006. He earned a bachelor’s degree in Geography with a focus on GIS from the University of Washington in Seattle in 1998. Prior to joining Esri, he was a Senior GIS Analyst and GIS Manager for the City of Chandler, Arizona where he built the City’s Enterprise GIS. Terri Morganson is an Account Manager with Esri working with state and local government customers in the Northwest and ‘carrying the Esri’ flag here in Alaska as her home state. Her role is to promote Esri’s culture, objectives, mission and vision. She has been with Esri since 2003 and worked for the US Fish & Wildlife Service prior to that. Jacquelyn Overbeck manages the State of Alaska Division of Geological & Geophysical Surveys Coastal Hazards Program responsible for coastal mapping and monitoring along Alaska’s 34,000 miles of coastline. Jacquelyn conducts investigations of coastal hazards at Alaska’s northern and western coastal communities, coordinates coastal mapping priorities and projects for the state, creates online tools to communicate coastal vulnerability, and provides scientific guidance to federal and state agencies, non-profits, Native corporations to inform hazard mitigation, community planning, and relocation strategies. Jacquelyn uses a variety of tools including remote sensing, GNSS mapping, and community-based monitoring to improve the State’s understanding of coastal hazards while facing reductions in sea ice cover and concentration during fall storms and thawing permafrost of ice rich coastlines. 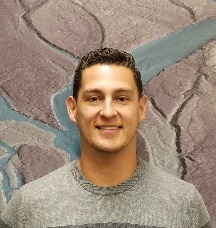 Nathan Pugh is a Geospatial Program Assistant in the Resource Mapping, Inventory, & Monitoring (RMIM) program while working at the USFS Geospatial Technology Applications Center (GTAC) in Salt Lake City. Nathan regularly serves as a Geospatial Specialist and Contracting Officer Representative (COR) in RMIM. He has Bachelor’s and Master’s degree in Geography, and over 11 years of experience working on geospatial and remote sensing projects for the Farm Service Agency and the Forest Service. Nathan currently works on multiple existing vegetation, TEUI, and landscape change mapping projects. Outside of work, Nathan enjoys spending time with his wife and 3 children, reading, fishing, playing, going to movies and rooting on his home state Indiana Hoosiers and Ball State Cardinals. Ryan Quigley is a Professional Land Surveyor with the Alaska Department of Transportation and Public Facilities Right of Way Engineering Section. Ryan drove the Alcan Highway from Minnesota to Alaska in 1997 with everything he owned in the back of his Jeep and graduated from UAA with an AAS in Geomatics in 2002. Ryan has worked for the Department for 16 years where he has developed an appreciation of Highways for their contributions to the Alaskan economy and is grateful for the opportunity to learn how their history is tied so closely to the stories of the people who’ve pioneered them. 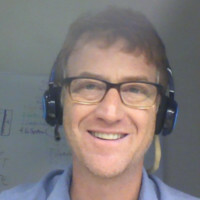 Alan Rea is a hydrologist with the U.S. Geological Survey’s National Geospatial Program, and is the co-lead for the National Hydrography Dataset. He is located in Boise, Idaho. Michael Robson is the business development manager for Fugro’s roadware group. He has over 38 years of experience in the evaluation, analysis, and management of pavements and assets. During his career, Mr. Robson has served as the project manager or technical expert for hundreds of pavement and asset management implementations. These projects have included the analysis of data using automated data collection systems; the development of pavement performance models; the establishment of maintenance and rehabilitation treatments; and budget analysis. Angie Southwould earned a BS in Applied Science from Miami University with minors in Systems Analysis, Operations Research, and Mathematics. She spent her first several years out of college in the warehousing business, writing applications using radio-frequency identification (RFID) technology to manage inventories for everything from orange juice to peanuts to toilets. She became involved with GIS after moving to Alaska in 1994 and starting work as a software developer for a local consulting company. She joined the National Park Service Alaska Region GIS Team in 2001 and has since further developed her expertise in programming and GIS while specializing in data modeling/database design (spatial and non-spatial), data standards development and implementation, and data management and workflow automation. She serves as a mentor and leader in both the regional and national GIS community of NPS. Helen Stewart is a hydrographic survey data analyst with Fugro. She is expert in multibeam sonar operations and processing related to nautical charting, scientific seabed mapping, pipeline inspection, marine construction, and environmental quality mapping. Her worldwide experience includes projects in the Arctic (US and Greenland), the Gulf of Mexico, the Caribbean Sea, Angola, South Africa, the Baltic Sea, as well as both coasts of the US. Helen is also involved in technical research and process development at Fugro. Nathan Wardwell is the Managing Partner and an owner of JOA Surveys LLC. Nathan grew up in Anchorage Alaska. After completing a BS in Earth Sciences at Alaska Pacific University he moved to New Hampshire and got his MS in Earth Sciences with a focus in Ocean Mapping. Nathan currently lives in Anchorage with his wife and three daughters. Rockford Weber works for Alaska DNR where he regularly uses GIS and drones to provide meaningful spatial context to land access issues. The vast majority of this work is done for litigation involving RS 2477 Rights-of-Way or Navigable Waters. Outside of work he volunteers these same skill sets to Alaska search & rescue efforts. Brian Wright – Serves as the National Map Liaison for Alaska within the National Geospatial Program of the US Geological Survey. Brian duties focus on developing and maintaining partnerships to acquire and enhance foundational mapping themes to include boundaries, elevation, geographic names, hydrography, land cover, imagery, structures, and transportation used in the production of topographic maps. Brian has 25+ years of combined federal service serving in US Navy and US Coast Guard and working for the National Park Service, National Geospatial-Intelligence Agency, US Army, and the US Geological Survey. Brian graduated from the University of Wisconsin – Stevens Point with emphasis in Resource Management and has attended GIS Certificate Programs at Northern Arizona University and the University of Wisconsin – Madison.